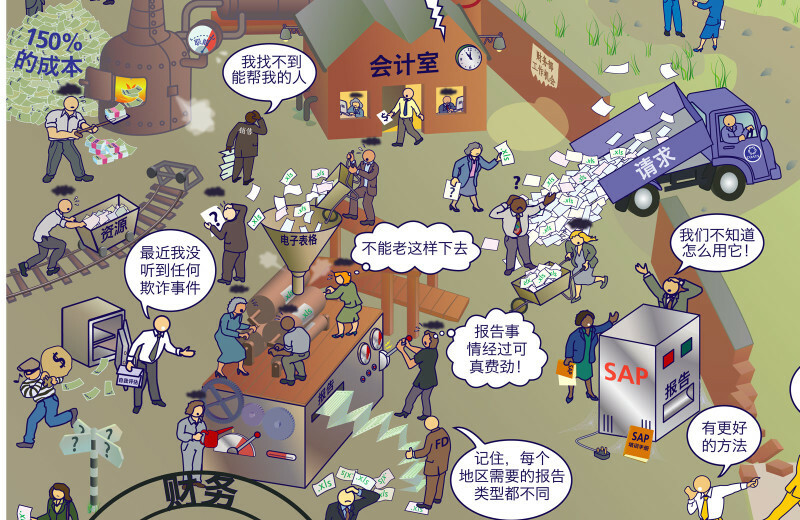 A Rich Picture to help explain the change programme for the Accounts function at global thread manufacturers Coats. 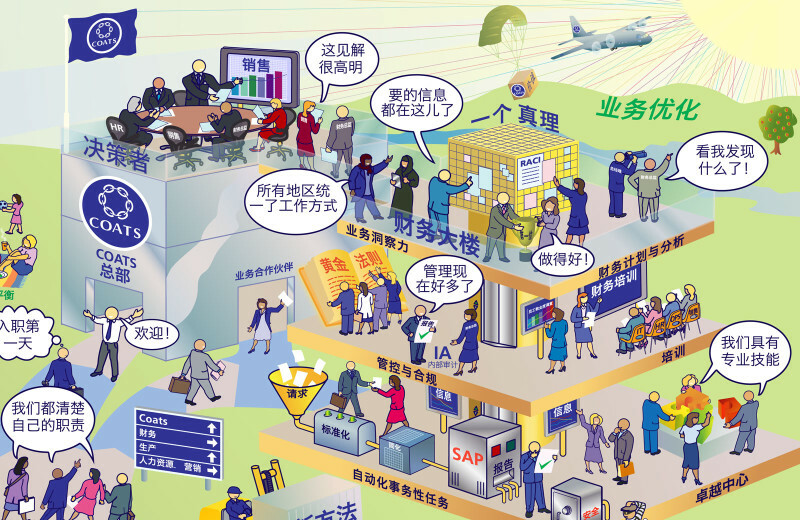 This Rich Picture was turned around very quickly in an English version but was so well received the client ordered it to be translated in fifteen other languages to spread the message across the whole of the company. I was supplied with the translations in an enormous tabbed spreadsheet with many non-Latin languages such as Mandarin, Indonesian, Korean, Vietnamese, Arabic, Thai, Turkish, Russian and some challenging European languages including Hungarian, Estonian, Romanian as well as the ones I can read at least a little such as Spanish, French, German and Portuguese. Each translation took about a day, with over a hundred labels and speech bubbles to transpose. The languages that read right to left required a plug-in for my Adobe Illustrator software in order to render the typography correctly. Having successfully translated this picture into so many languages I now have the confidence to take on any language challenges.